This beautiful garter set is a perfect heirloom piece! 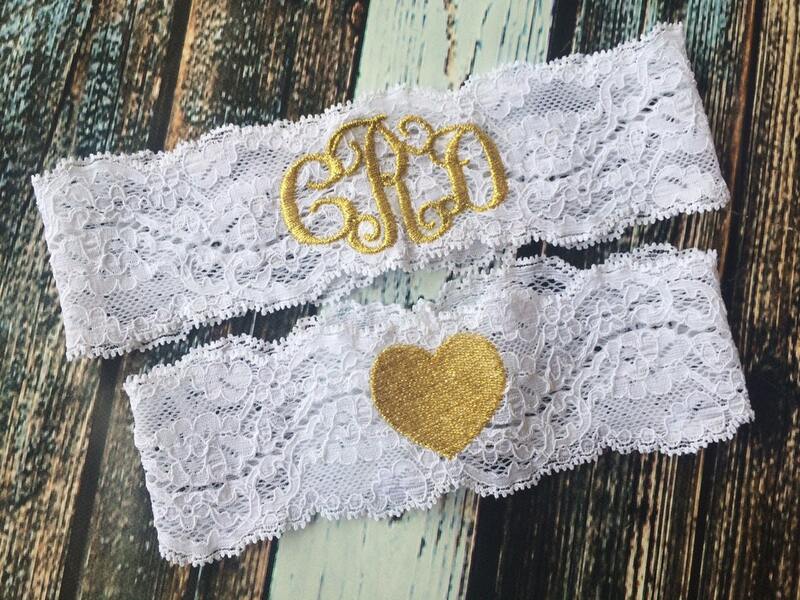 Personalize the keepsake with your new married initials and compliment it with a precious gold heart on the toss garter! Want another color? Just ask! 2) THIGH MEASUREMENT- How to Video is located on our "About this shop".